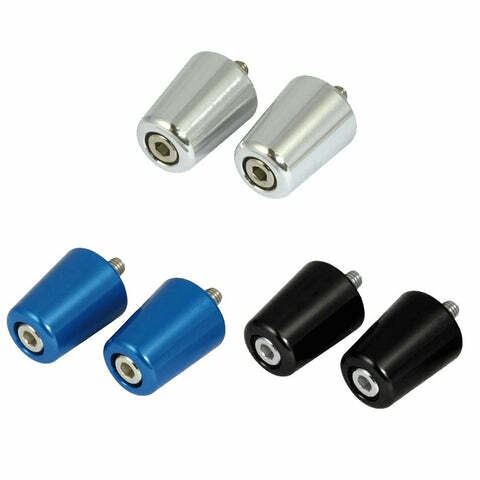 Machined metal bodied indicators with adjustableŒæstems allowing you to set the stem length to suit your style of motorcycle.ŒæEasy to install with single universal bolt fitment! Machined chrome stem provides durability and extended lifespan, whilst the large mirror gives you a better view of whats behind you! 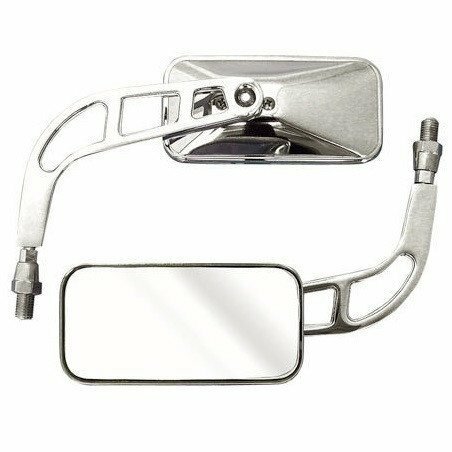 Runner series chrome mirrors feature a strong chrome-plated metal stem, along with a large mirror face for extra awareness on the road; providing you with a stylish replacement for your standard mirrors and added safety while riding! 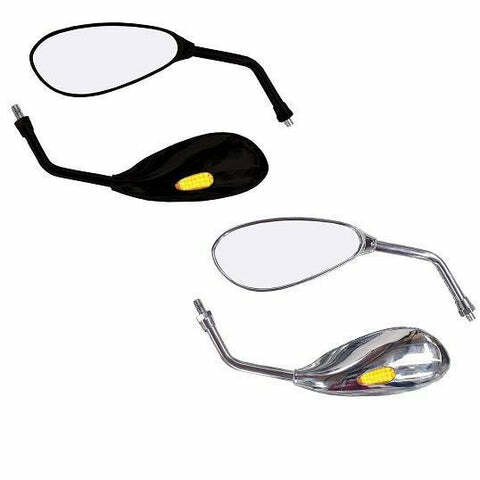 Shift mirrors features a machined metal stem with 10mm thread, and large oval mirror faces for optimum rider awareness on the road. 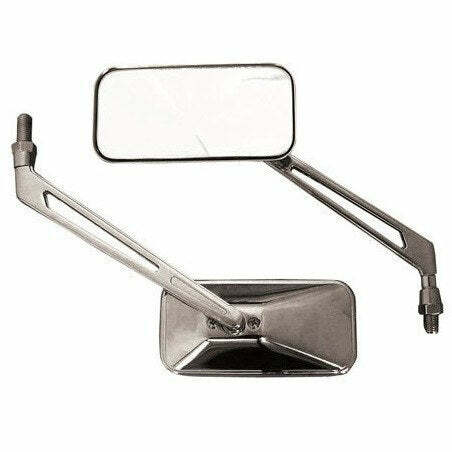 Great replacement part or upgrade from standard mirrors. 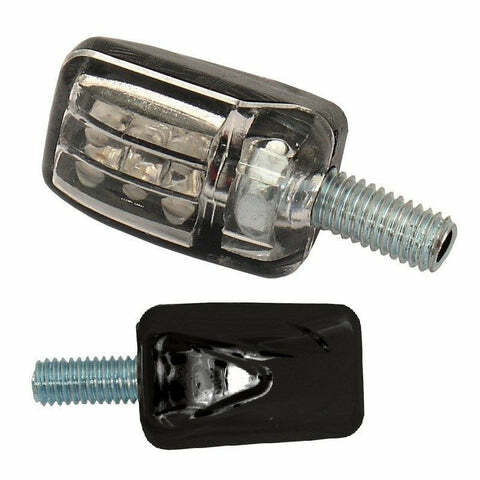 Suitable for 10mm thread single stud brackets. 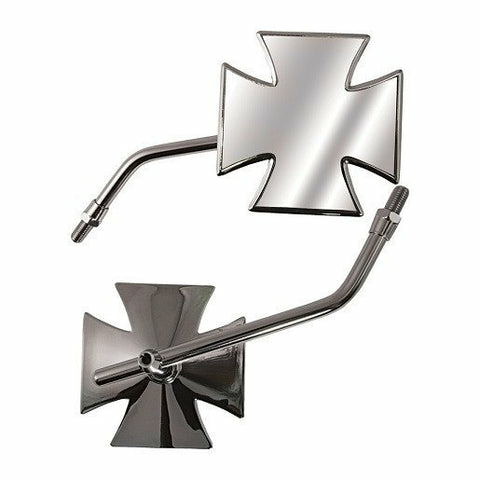 Maltese Cross chrome mirrors with a strong, single metal stem and adjustable mirror head for easy use. Add some chrome to your ride! 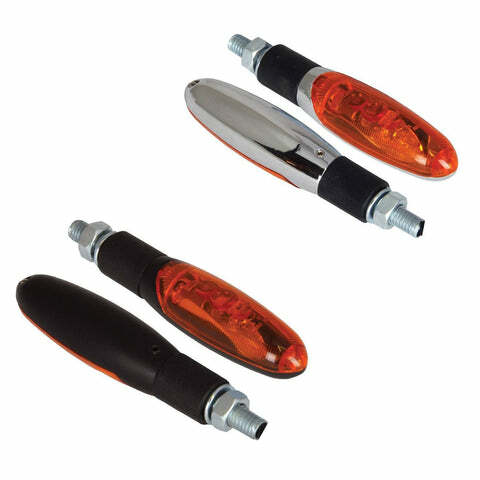 Upgrade your existing mirrors with these Patrol Series LED motorcycle mirrors from Bikeit. the large mirror face gives you a better view of what's behind and the integrated LED indicators give people around you a better awareness of your direction; adding safety and style to your ride. 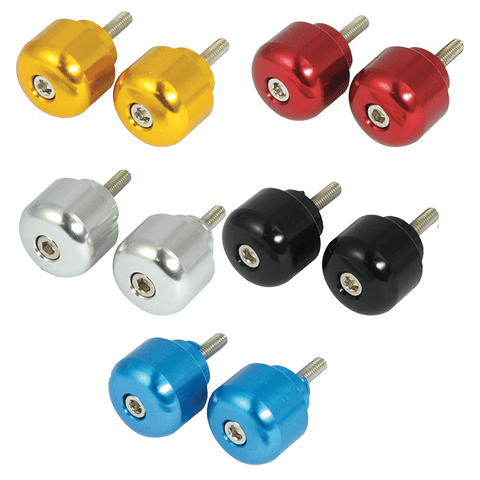 Simply wire the indicator into your existing indicators. 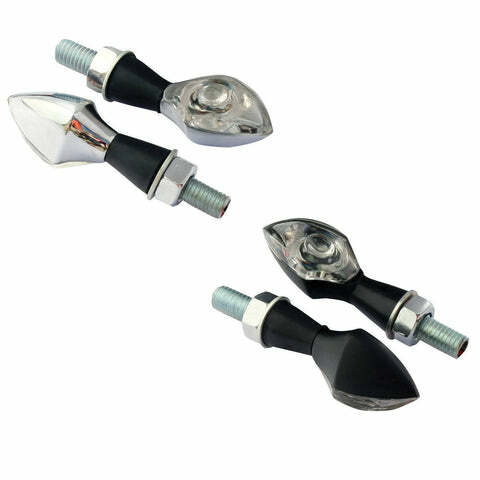 The Bullet Bar Ends are a great way to add a personal touch to any bike, whether it be a low key cruiser or pocket rocket. 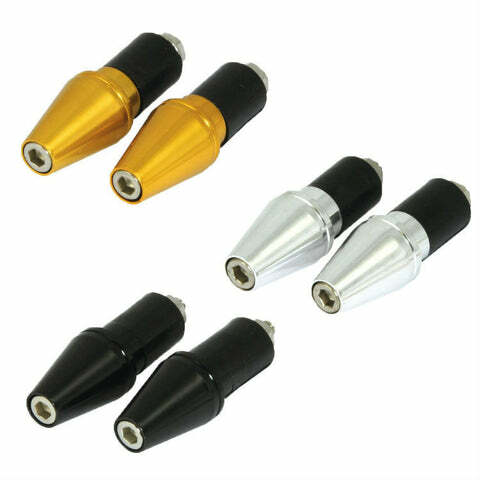 With their tapered design and anodised colour options these bar ends can really make a difference to the look of your bike while reducing handlebar vibrations. Fits all 22mm bars with an 18mm internal diameter. Supplied in pairs, complete with an allen key for fitting. 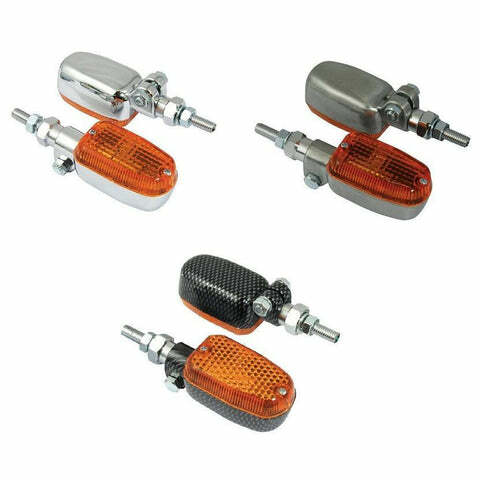 Exclusive to LDMotorcycles.co.uk, these mirrors were selected to suit customs, cruiser and choppers whether it's a Harley Davidson, Yamaha, Triumph or Honda, aslong as it's cool! 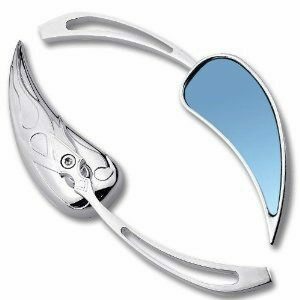 A true head turning accessory whether your cruising down the road, parked at a bike meet or showing off at a show, because who doesn't love chrome? 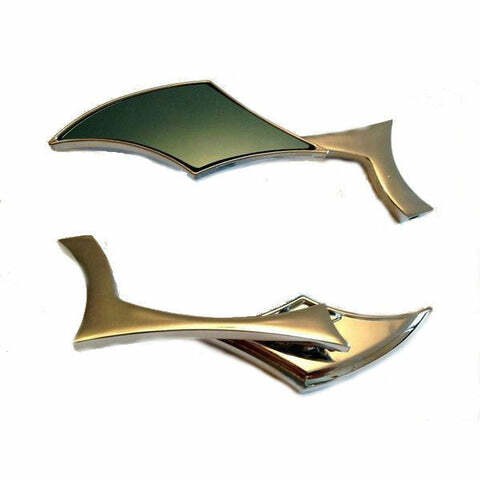 These mirrors look great on any type of motorcycle, from choppers to super bikes. 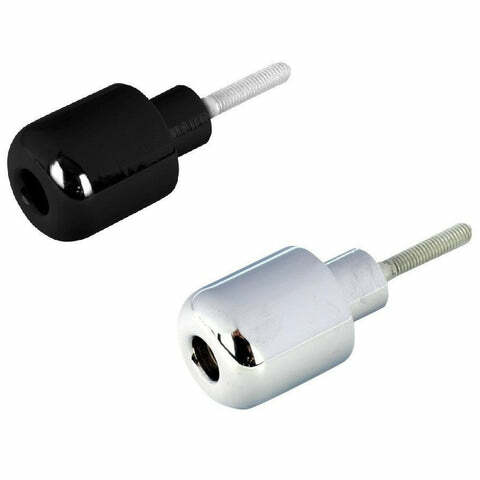 Included with mirrors are 8mm and 10mm mounting adapters so will fit almost any motorcycle. 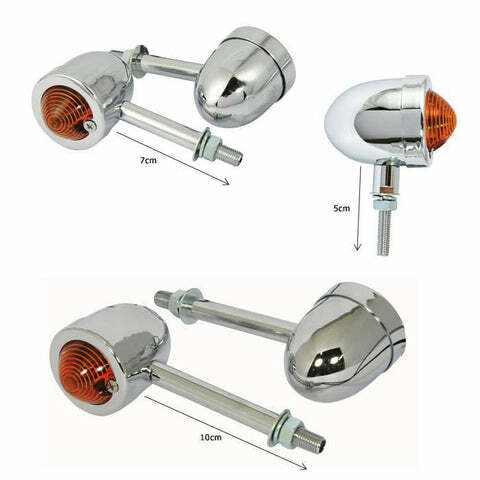 Stylish chrome motorcycle mirrors, with flame shaped metal stem and universal fitting, perfect for cruisers and customs. 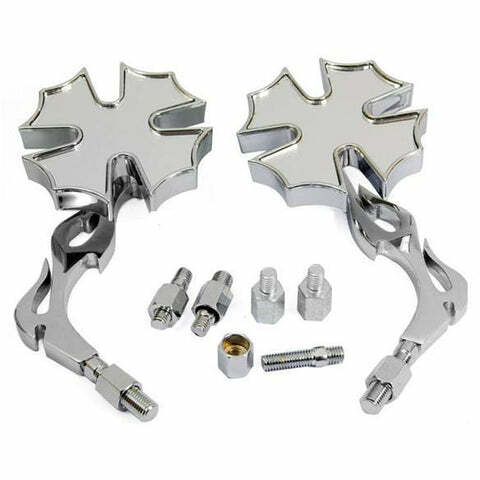 Exclusive to LDMotorcycles.co.uk,Œæselected by us to provide you with a real head turning accessory at the next rideout or bike meet, whether it's a custom harley, cruiser or bobber! 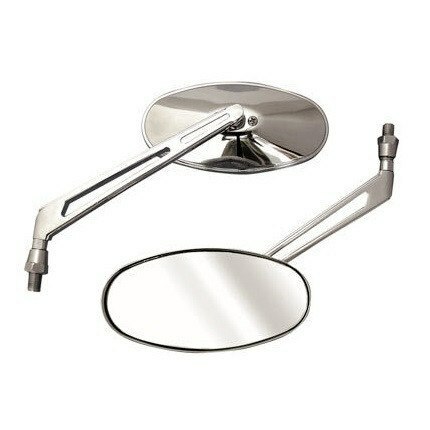 Universal mirror mount to fit 25mm handlebars, comes with inner sleeve to fit to 22mm bars. 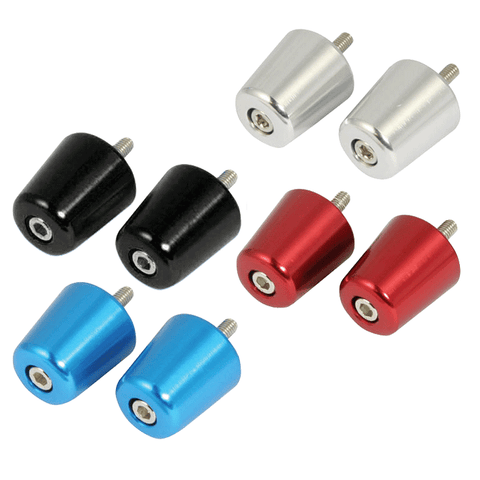 10mm thread size for mirror stem to bolt in to. 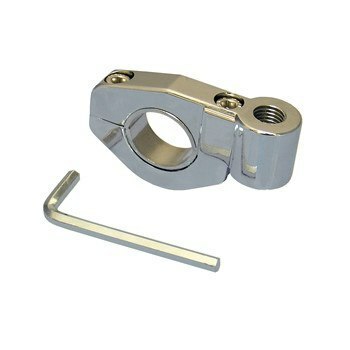 Allen bolt tightening system. 1 piece not pair. 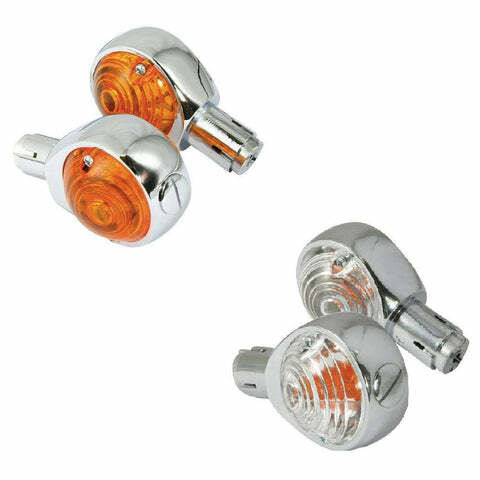 The POD indicators are the best mini unit LED indicators available, measuring only 55mm from base to tip, they can be mounted nearly anywhere without getting in the way or ruining your bikes' styling, but still be highly visible thanks to the bright amber LED bulbs! 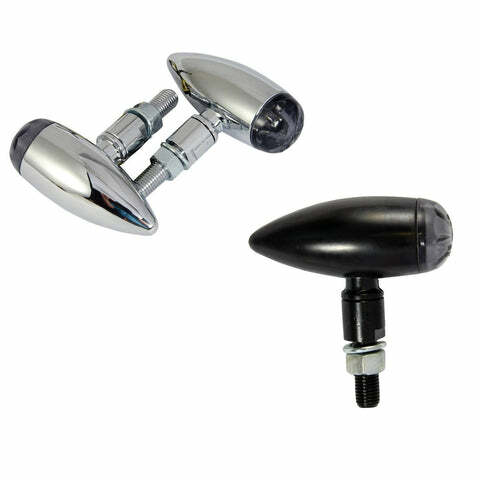 Available in Black or Chrome body finish. 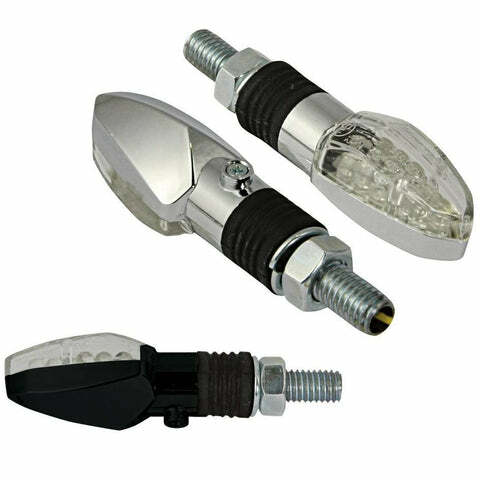 The 'SPIRIT' LED indicator from Bikeit is a Classic-styled high quality machined metal body, and LED bulb with black lenses. 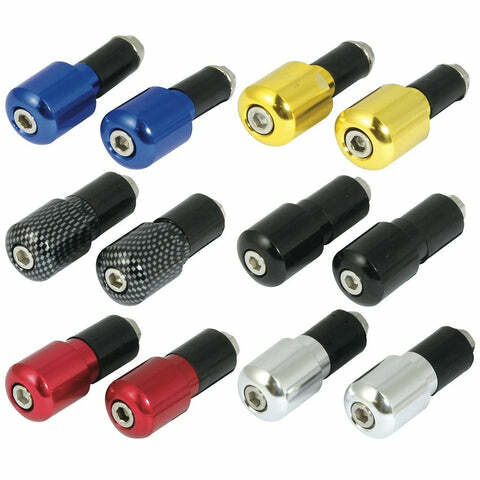 Simple and easy to install Anodised bar end weights, guaranteed to improve the appearance of any motorcycle whilst counteracting handlebar vibrations!